Which are the poisonous plants for dogs and cats? With summer now finally here, it’s likely both you and your pets will want to be out in the garden more to enjoy the warmer weather. 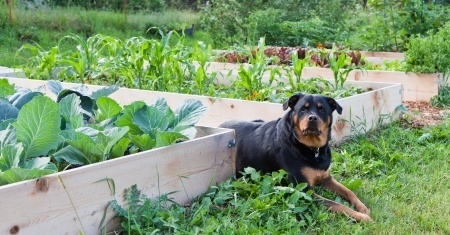 But did you know the average garden is packed with poisonous plants for dogs and cats? Whilst keeping your pet away from poisonous plants is far from easy, especially if your dog or cat has a habit of roaming far and wide, here are a few species to keep an eye out for closer to home. Which are the most poisonous plants for dogs and cats? • Rhododendron: Not only is this toxic to cats and dogs, it can also be dangerous for horses. Eating just a few leaves can cause digestive problems, excessive drooling, loss of appetite, diarrhoea, depression and even a loss of coordination. In severe cases, it can cause a weak heart rate and result in death. • Begonia: A popular and versatile summer plant, these will cause intense burning and irritation in the mouth if eaten by dogs or cats. Ingestion will also cause excessive drooling, vomiting and possibly make your pet have difficulty swallowing. • Chrysanthemum: Some dogs and cats can be drawn to its unique smell and, in certain cases, digesting it can cause vomiting, depression and a loss of coordination. • Cyclamen: This plant’s root is very toxic to dogs and cats, so if your pet likes to dig and you have these in your garden, look out for intense vomiting. In some cases, fatalities have been known to happen if eaten. 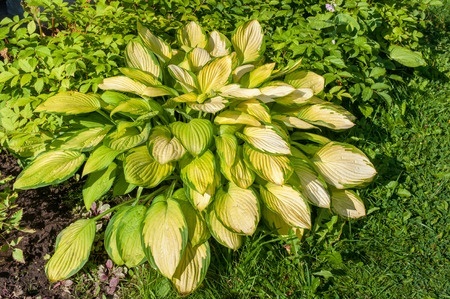 Hosta (pictured above): Its leaves, flowers and roots are poisonous to cats and dogs, so make sure your pet does not take a fancy to them. If they do, expect to see signs of depression, followed by vomiting and diarrhoea. • Ivy: Only certain types are dangerous, including California Ivy, Branching Ivy, Glacier Ivy, Needlepoint Ivy, Sweetheart Ivy and English Ivy. Eating it will cause vomiting, hypersalivation and diarrhoea. • Lilies: Highly toxic to cats, even in small quantities, eating these can cause kidney failure. In stark contrast, they are not toxic to dogs. • Tomato Plant: Eating them won’t prove fatal for your pet, but they can give dogs and cats severe stomach pain, diarrhoea, drowsiness and slow their heart rate. Dilated pupils are a way to recognise if your pet may have eaten them. • Tulip: This plant’s bulb has a high amount of toxins in it, so if you have a dog which likes to dig, keep a close eye on it. Convulsions and cardiac abnormalities can occur if this has been ingested. • Daffodils: Although this flower is a spring addition in the garden, its bulb is most the most toxic part and can cause diarrhoea, low blood pressure and tremors if digested. Is there an official list of poisonous plant species for pets? Obviously, the above list is by no means exhaustive and the number of plants which can prove harmful to your pet depends on which type of animal you have. But dog owners can refer to a comprehensive directory of poisonous plants for dogs, which has been compiled by the Dogs Trust. Cat owners may want to refer to a similar inventory which has been put together by International Cat Care, a charity seeking to improve the quality of care for all cats. Which plants are not poisonous for my pets? Although the list of poisonous plants for your dog or cat seems to be a long one, don’t worry, there are plenty of plants that are deemed as ‘safe’ for your pets. • African daisies: like the common daisy, these beautiful plants have smooth and flat petals and look wonderful planted in the garden. • Alyssum: this fast-growing plant is perfect to tuck into flower beds and great if you like to attract beneficial insects to your garden. • Rose: a woody perennial flowering plant that can grow in abundance in your garden as shrubs. • Celosia: an eye-catching, annual plant that bloom all summer long. • Common Snapdragon: a brightly coloured and versatile plant that can shoot up to 1.2 meters tall. Are there any non-toxic common houseplants? Houseplants are becoming increasingly popular and there’s no surprise as they can have great purifying benefits for your home. However, popular plants such as Aloe Vera and English Ivy can cause vomiting, diarrhoea and abdominal pains for your little pets. We would always recommend to research into both indoor and outdoor plants before purchasing them and planting them around your garden or home. 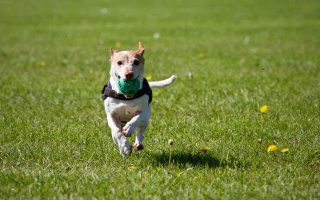 For additional information on caring for your dog or cat, check out our We Talk Pet blog to learn more.